My pub date is looming! One week from today! I have moved through the tremendous anxiety I have been feeling to sheer excitement. Why have I been so focused on "sales" and what stores are or are not stocking the book? 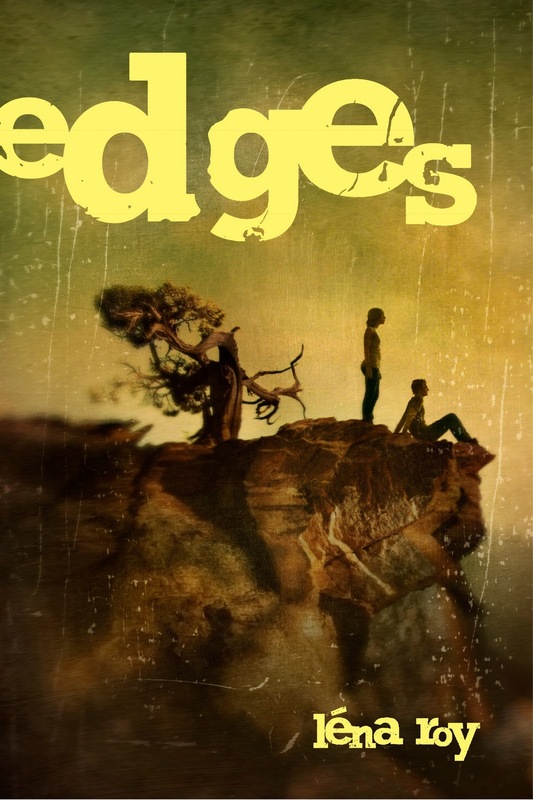 Edges will find it's audience and will be the first of many novels. I've already proven to myself through these seven years of gestation that I can suffer through my impatience, I can write and rewrite, and rewrite again, and that practicing any craft makes you better. Period. So all ye writers out there - do not give up hope! If I can do it, you can! Seven years. Much has been made of this number in every religion. The sum of the spiritual three + the material four is seven. Seven comes from the Hebrew word, shen-ban, meaning to be complete, or full. For a more complete breakdown of the symbolic meaning of seven, here is a good place to start. It's my new favorite number! The giveaway on Goodreads ended this morning, and there were 953 entries! I like to think that is a good, healthy number. I grabbed my only copy of Edges and tried to come up with something pithy to write along with my autograph, but ended up pith-less but personal. 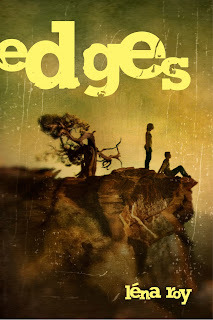 (An "edge" has multiple meanings, and I hope the book encompasses all of them! Do you guys have any ideas? I can think of several, but they are all cheesy . . .) Then I went to the post office where I sent it off all the way to Kalispell Montana! It should get there on Friday. Seven years to publication. Seven years to completion. It's almost here! Yay! I love the number seven, too. I'm so excited for you! I just read a recent article on the upcoming release. Congrtualtions, Lena! I wish you success. I am LOVING your moniker, bibliophile brouhaha! Thank you for saying hi! It is really very interesting book by you that is helpful to me for best essays bestessays-writer.com and i really liked it's topic. I appreciate your choice for your cover because that is really very interesting and hope all of visitors are agree with me. I haven't read 'Edges' yet. I'm a writer at glorious essays and I want to read this book. Hope I'll like it. And thanks for sharing, Léna Roy! Thank this is what i was looking for the book is more educative. I will continue to read this book as i go on with my accounting homework help free and i will learn a lot. It is truly exceptionally fascinating book by you that is useful to me for UK Dissertation Writing Service and I truly loved it's subject. I value your decision for your cover since that is truly exceptionally intriguing and trust all of guests are concur with me. All of these tips and guidelines are the helpful. Being a dissertation proposal writing service expert, I must appreciate these all. That's very nice blog, Seven years not a long time but also not a short time, I like your patient and your effort until your book was publish. Thanks for sharing it.